The latest trend in commercial workplaces is interior glass. 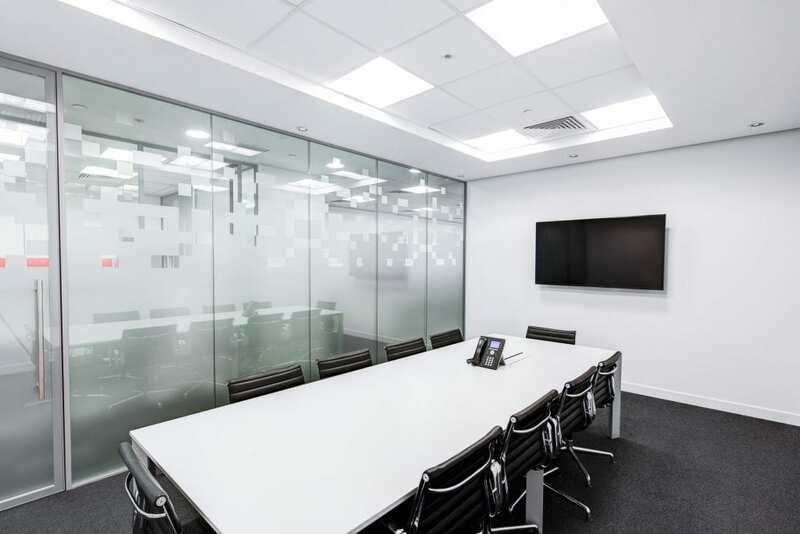 Unlike traditional office spaces with solid walls, modern offices are using glass which opens up offices to more collaboration and natural light. Glass interiors not only make your office space unique and bold, but it is also a refreshing method that removes traditional walls which create barriers within the workplace. Interior elements made of glass are becoming increasingly popular among interior designers and architects for residential and commercial spaces. because it makes the office look free and open. Why choose commercial interior glass? In offices with traditional walls and floor plans, the employees are often hidden behind walls. In turn, the ability to work together and bond is practically impossible. On the other hand, glass interiors provide an entirely new environment and allow people to interact and integrate well. The new look is also much more aesthetically pleasing and is more practical too. When you install glass interiors in your office, the entire attitude of the office can shift. It gives the impression that your business wants to be open and honest within and with customers. When people step foot in your office, they can see that there is nothing to hide and therefore they tend to trust you more. Apart from improving communication, the openness also helps to increase the productivity of your employees. This might sound absurd, but glass interiors can help improve communication significantly. People are more comfortable talking or approaching their coworkers if they can see beforehand who they will have to talk to. Think about it; knocking on a closed door is more intimidating because you have no idea what to expect. Doors, as well as walls, tend to decrease communication; however, the glass removes all these barriers, and people feel a little more comfortable talking to the other person. Since glass interiors have a modern feel, they provide the message that the company is focused on the future. When a potential new customer, current customer, or potential employee walks into your office, first impressions are everything. Immediately, you want them to feel like they are in a modern, comfortable, and open environment. Commercial interior glass gives you the ability to make your business impressive to anyone who walks through the doors. It is crucial to ensure that the materials you choose for your office are durable and safe. Glass is a material that doesn’t go out of style, is extremely durable, and completely safe. The tempered glass that is used can last for a very long time and is nearly impossible to break or shatter. In any office space, glass is a great investment as it doesn’t tarnish, fade, or lose its sleek look. Knowing about all the benefits, it might be time for you to start looking for the best commercial interior glass in Reno. nvision Glass provides exceptional commercial interior glass and is devoted to making the client’s ideal workplace into a reality. Connect with us to start on the path to a modern and efficient office space!